The second teletype pictured is newer that the first (serial number ~100,000 vs. ~400,000). Careful, if I have learned anything about Teletype machines in the last few years is there is nothing standard or stock on any Teletype machine. I am looking at five model 33 machines in front of me as I write this and none are the same. There are many variations of each model. In your photo you can see the number UCC-6 on the tag attached to the subchassis of the call control unit. There were several UCC's available. Good Luck, Steve R.
I agree, no two are exactly alike, sometimes in pretty major ways...I have learned this in the past year or so when I tried to repair the one I tipped over. UCC-6 - how does a call unit work exactly? Basically the Call Control Unit such as the UCC-6 is just the power supply for the Teletype. Why they call it a UCC and not a CCU is anybodys guess. 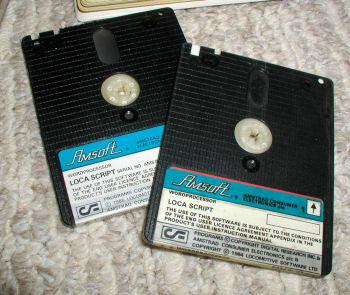 However, if you want to use the Teletype for other than communicating with a computer and you wanted to communicate with other Teletype machines over the phone lines or other open networks you needed a modem. There were several types of modems (Pulse, Dialer, Card, Acoustic, etc.) and these were added to the call control unit chassis. If you want to use the Teletype as a computer terminal you want the UCC-6 (no modem). All you need to add is an RS-232 to current loop converter and you are in business. 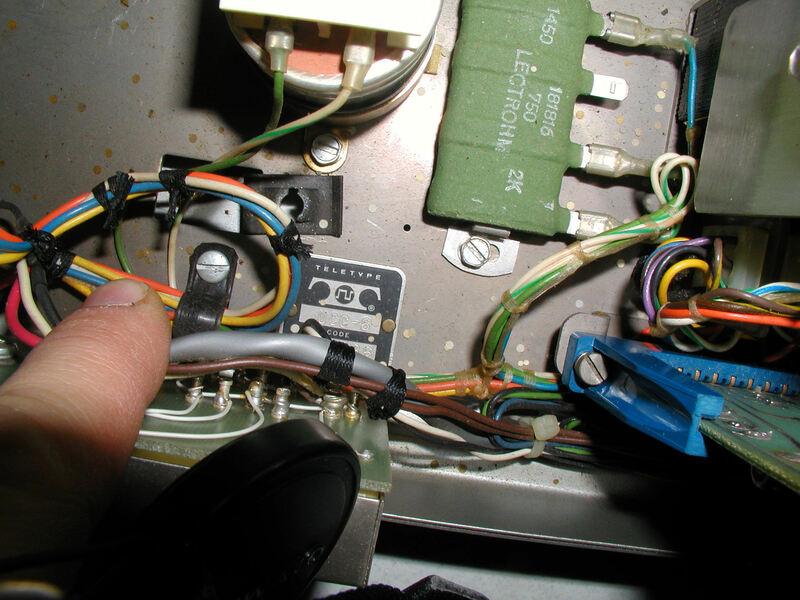 If you want to use the Teletype as a printer you can operate it in half-duplex mode, but if you want to talk to the computer it will have to operate in full-duplex mode, so make sure your RS-232 to current converter will do half-duplex, full-duplex or both depending upon your needs. Other call control units with modems can be converted to a UCC-6, but this can be simple or difficult depending upon which type of modem is installed. I have learned a great deal about these machines during the last few years, but no way an expert. Could not get your link in the post for the PDF of the cabling from the PDP 11/05 to work. Can you send me the PDF or link directly? 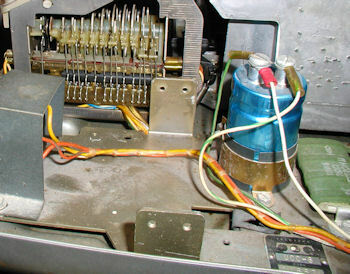 If you remove the 8 plug-in connectors and the fiber strip cover, you'll reach the terminal strip of an asr 33. 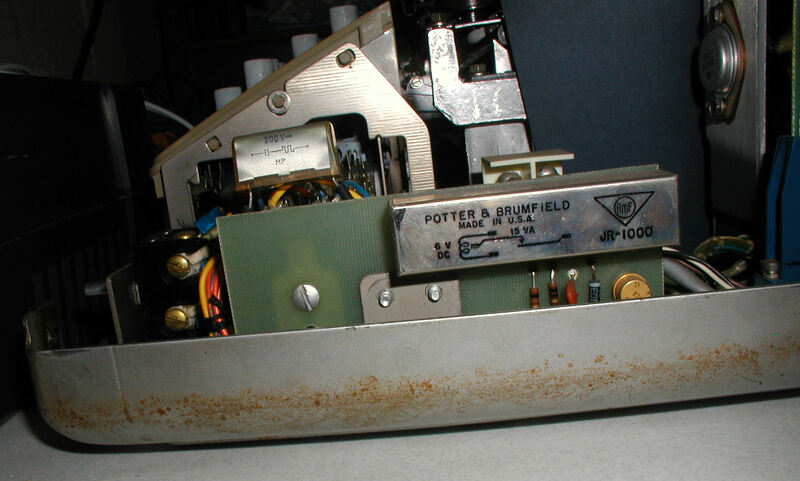 This particular tty has a tape reader control (not pictured) modification. The four posts of the terminal strip: 3,4,6,7 have connectors above their respective terminal's screw post. 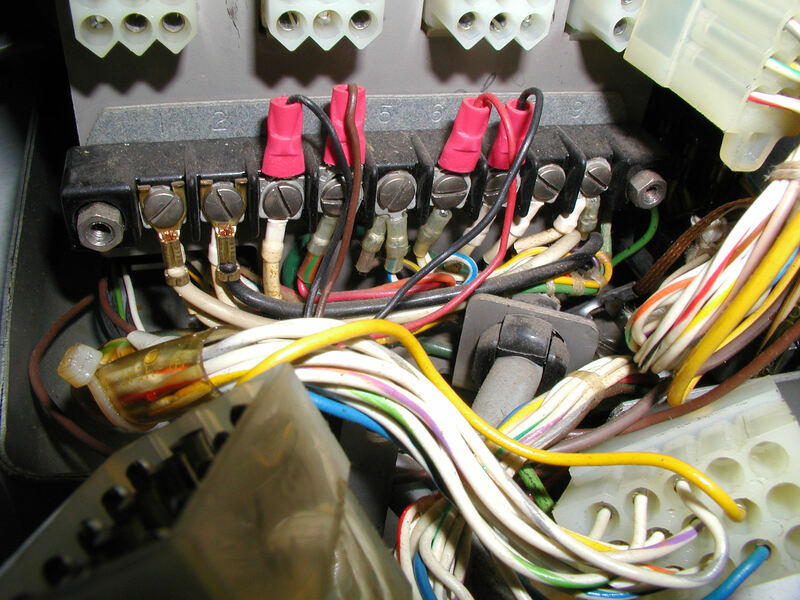 These four wires travel through the reader control and eventually out to the computer. The jack on the end is a 9-pin female. Basically this is a bypass hack, as the #2 plug-in connector (not pictured) is disconnected. I noticed that there are also two wires with post connectors coming from the teletype. Not sure what to connect these to, or if they're vestigial wires from the original configuration. This is a "more stock" configuration, no extra patches. The I/O originates from the #2 plug-in connector, there is no hot wiring to the terminal strip like the above photo. 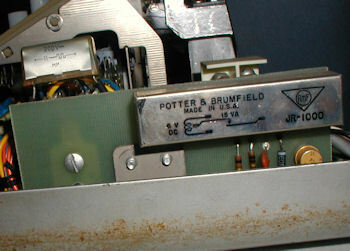 Here's a picture of the plug-in connectors of a stock ASR 33. Note #2 has the shield cover on it. #2 is the connector for computer i/o. Don't know much about the other plug-in connectors off the top of my head, yet. All I know is that the two teletypes have totally different patches. Both are wired for 20mA current loop and full duplex. 2. Purple wire is on contact 9 of the terminal strip - check. 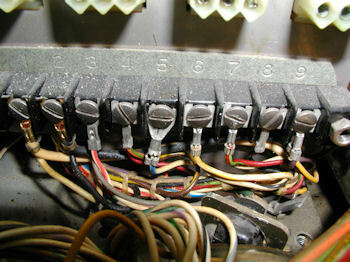 QUESTION - So..there are six wires coming from the computer into the teletype, but the manual only refers to 3,4,6,7. Are the other two wires ever used? Maybe for program control? If so, is the teletype with the P&B attached to the UCC-6 the best match for a pdp 11/05 with M9970? There are two leads coming from the teletype throught he control unit. I wonder if these are vestigial wires from the original configuration before the reader control was added. 2) A thinner cable with two wires, one red the other black, that have connectors at the end you'd typically see attached to a large capacitor post or ground post. More pictures that compare the teletype with the reader control with the one that has none. Note how the modified TTY with the controller also has a three position reader switch (one can hold the "start" position as well as stop and free), for the other one has to hold the lever in the start position. NEXT - Match up the 4 wires I can identify to the teletype from the M9970. See what happens. In the end, I worked with Wayne Durkee who helped by bypass the reader control by returning the brown wire to it's original place, ignoring the whole enhanced reader...for now. Teletype Reader Run Relay card (Teletype Reader Control 4915D) Click image for larger view. Found a 4915D when inventorying my extra teletype parts for sale. This also confirms that another relay, installed in my pico font ASR 33, is probably a clone that serves the same purpose. I disconnected it when I was attempting to get the overall TTY running properly.